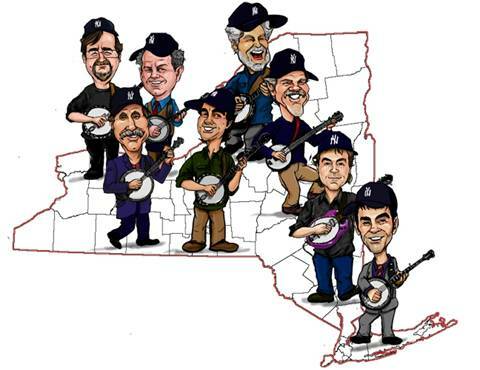 Many of the world’s most influential banjo players are gathering for an exclusive and limited tour this month and make a once-in-a-lifetime stop at the Keswick on Thursday, October 25 at 8 PM. Generally considered the most accomplished master of the instrument, Béla Fleck will be joined by fellow pickers Tony Trischka, Bill Keith, Eric Weissberg, Noam Pikelny, Richie Stearns, Pete Wernick and Mac Benford in concerts that will find the banjo being performed in both conventional and unexpected ways. In performances ranging from solos and duets to full-tilt banjo blowouts with all the players and an acoustic band, the stage setting will range from the traditional backdrop of bluegrass and old-time country music to the more unconventional banjo genres including jazz, classical and rock music. Béla Fleck – a native of Manhattan – began making waves with a series of progressive banjo-centric recordings in the 1970s and as a member of the Newgrass Revival in the 1980s. As leader of the genre-busting Béla Fleck and the Flecktones since 1989, he has used the banjo to define the band’s one of a kind fusion of jazz, rock, bluegrass and world music. His collaborations with a wide diversity of artists such as jazz piano icon Chick Corea, Indian tabla master Zakir Hussain, classical bass virtuoso Edgar Meyer, and African artists Toumani Diabate and Oumou Sangare, have brought the banjo even further into unchartered territories. Béla Fleck has been nominated for Grammy awards in more categories than any artist in history, and has won 15 to date, with 30 nominations. Tony Trischka – originally from Syracuse – took the bluegrass banjo to a whole new level in the 1970s with a series of recordings that explored rock and avant-garde jazz. He served as young Béla Fleck’s banjo teacher, and continues to explore the traditions and possibilities of the banjo through his “World Turning” concerts, his band Territory and as a record producer for artists such as Steve Martin. Bill Keith, from Woodstock, is widely considered a trail blazer of the melodic style of banjo picking he brought forward as a member of Bill Monroe’s Bluegrass Boys. 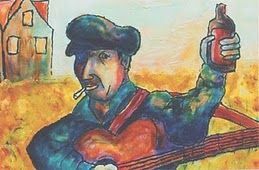 He went on to join the Jim Kweskin Jug Band and then helped pioneer the early newgrass movement with his work in bands with artists such as David Grisman, Peter Rowan and Richard Greene. He invented the “Keith tuners” that are used by banjo players around the world and which he distributes through his business Beacon Banjos. Eric Weissberg – also a Woodstock resident – helped to bring the sound of the bluegrass banjo to mainstream America with his performance of “Dueling Banjos” on the soundtrack of the major motion picture “Deliverance”. This signature tune has gone on to become the world’s most familiar bluegrass instrumental. Richie Stearns of Ithaca, brought the old-time clawhammer banjo style to a whole new audience with the jam bands Donna The Buffalo and The Horseflies, and has accompanied artists such as Natalie Merchant, Jim Lauderdale and Vassar Clements. Pete Wernick – AKA “Dr. Banjo” – originally from New York City – is renowned as a hot-picking force in several trend-setting bands including Hot Rize and Country Cooking. A respected author and teacher of the instrument, Pete is a long-term President of the International Bluegrass Music Association. Noam Pikelny, currently residing in Brooklyn, played in Leftover Salmon and the John Cowan Band before joining the Punch Brothers in 2006. The recipient of the Steve Martin Prize for Excellence in Banjo and Bluegrass in 2010, he has also recorded two albums as leader of the Noam Pikelny Band. The banjoists will be accompanied on stage by a stellar acoustic band that features guitarist Russ Barenberg (of the Barenberg, Douglas & Meyer band), mandolinist Jesse Cobb (of the Infamous Stringdusters), violinist Alex Hargreaves (of the Sarah Jarosz band) and bassist Corey DiMario (of Crooked Still). Tickets are $29.50 & $39.50 and can be ordered online at KeswickTheatre.com, via 24-hour phone charge @800-745-3000, at the Keswick box office, Monday-Saturday, noon-6PM and all Ticketmaster locations. Thanks to Jen Muscatello at the Keswick for posting.